The sheer accessibility and almost limitless potential of ICT should by now see most schools having made the move from paper-based folder portfolios to Interactive ePortfolios. Contained below are many approaches, resources, software and app reviews for schools, teachers and students that should support and engage them in their development of ICT enriched Interactive ePortfolios. having teachers provide feedback for improvement (which is often forgotten). a student's writing samples of a recount or narrative, and how the use of their vocabulary or sentence structure has improved over time. It is important to note that Interactive ePortfolios should be student-managed not teacher-managed, as it is the role of the teacher to guide students in the use of ICT tools that capture and collate student work and then give poignant advice and feedback that will led to rich reflection, student-goal setting and greater future learning, as well as developing in students ownership and responsibility of the ePortfolio and the chance to experience pride in their accomplishments. To ensure that student portfolios are truly rich and authentic, schools, teachers and students should be part of a planned, consistent and an ongoing approach to collecting, collating, reflecting, evaluating and presenting student work. At the start of each year, schools should have a ready-made template, and have clear and agreed upon expectations in regards to the differentiation of ePortfolio content throughout the school, that also caters for the differing levels of student and teacher ICT expertise. Planned and authentic assessment of Interactive ePortfolios. All of these tools are discussed in detail below and can be navigated to using the above hyperlinked text. Often, teachers and students can find themselves approaching the end of a term, semester or even a school year and having to madly dash to collate a series of examples of student work for ePortfolios. Yet such occurrences can have significant negative impacts on the quality of student reflection which is in direct opposition to the goals of the student portfolio: rich and authentic reflection. During the each teaching and learning unit: Capture the moment that learning is occurring through photos, screen dumps, videos and links to rich blog, Twitter or Facebook discussions. At the end of each teaching and learning unit: Students and teachers should pause to reflect and celebrate student learning. Student Reflection (either ongoing during tasks or retrospectively). 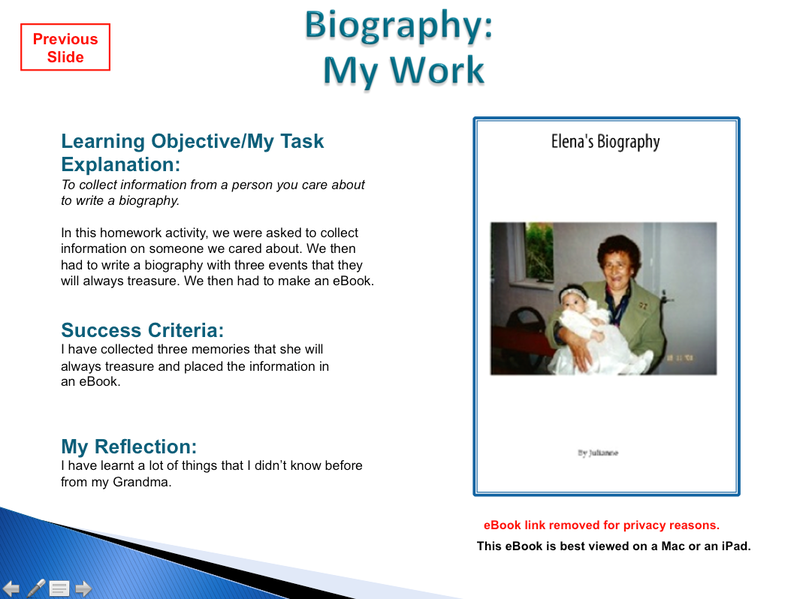 A sample slide from a primary school student's (age 12) Interactive ePortfolio, containing a work sample, learning objective, task explanation, success criteria, an online student video tutorial and a reflection. Download the student's Interactive ePortfolio here. Student work samples/artifacts should not be limited to scanned pieces of student work or screen dumps, but instead should take many interactive forms. 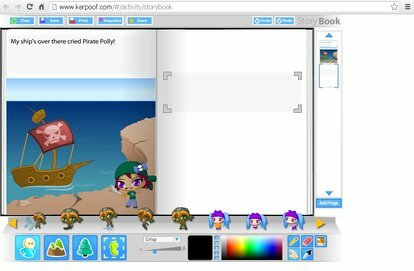 Interactive ePortfolios should be exactly that, interactive! Students, teachers, parents and extended family members should be able to interact with the student's collection of work via the presence of various interactive multi-modal elements. 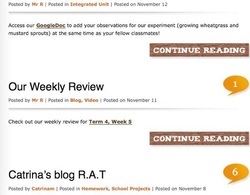 Links to online student work: Blog posts and social networking interactivity between students, classmates, teachers and parents in the form of blog comments, Facebook posts and/or Twitter tweets. See below for examples of how various interactive multi-modal elements can be embedded into a student portfolio. Below: A QR code linked to student's blog. Below: A student-made iMovie Trailer made after reading Michael Morpurgo's Kensuke's Kingdom. Below : A playable student-made task overview (stored on GoogleDrive). Click on the picture or here to play. Below: Downloadable eBooks - A biography written about a student's grandmother (eBook link removed for privacy reasons). Download an eBook of a student's narrative here. (Open in iBooks on IOS devices, BookReader on Mac, Moon+Reader on Android or Adobe Digital Editions on Windows/Mac). 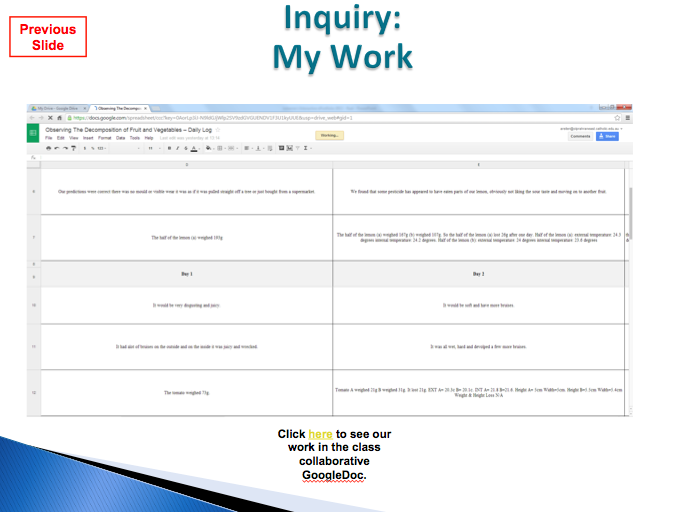 Below: Browsable online student work -a collaborative work task stored on a class blog and a Google Sheet. Various other multi-modal elements should also be used, including features such as a Wordle to show development in a student's vocabulary. Filming unit overviews (using an digital camera) - watch an example here. Students must also upload the relevant work to the agreed upon storage solution and then create the hyperlinks to the work within the chosen Interactive Portfolio medium (e.g. PowerPoint, blogs or websites). With the prevalence of free online storage solutions, schools should be making the move away from burning DVDs or using USBs to send home student ePortfolios. By using online solutions, family members can then easily access and interact with student multi-modal work throughout the year, no matter where they are in the world. Schools should decide whether they wish to use the internet to store student work (which can then be hyperlinked to in PowerPoint Interactive ePortfolios) or present student work (in the form of a blog or website). Powerpoint: Hyperlinked work (with large files stored online) Website/Blog: All content appears online. An Online Services/Cloud Solutions Consent Form must be drafted by schools to seek parental permission. Download a Google Account Policy Parental Permission sample here. A SkyDrive app is available from the App Store for iPhone and iPad and Google Play for Android devices. Microsoft Accounts can be linked to Outlook, X-Box Live, Skype and Windows 8 PCs, phones and tablets. A Box app is available from the App Store for iPhone and iPad and Google Play for Android devices. A Dropbox app is available from the App Store for iPhone and iPad and Google Play for Android devices. 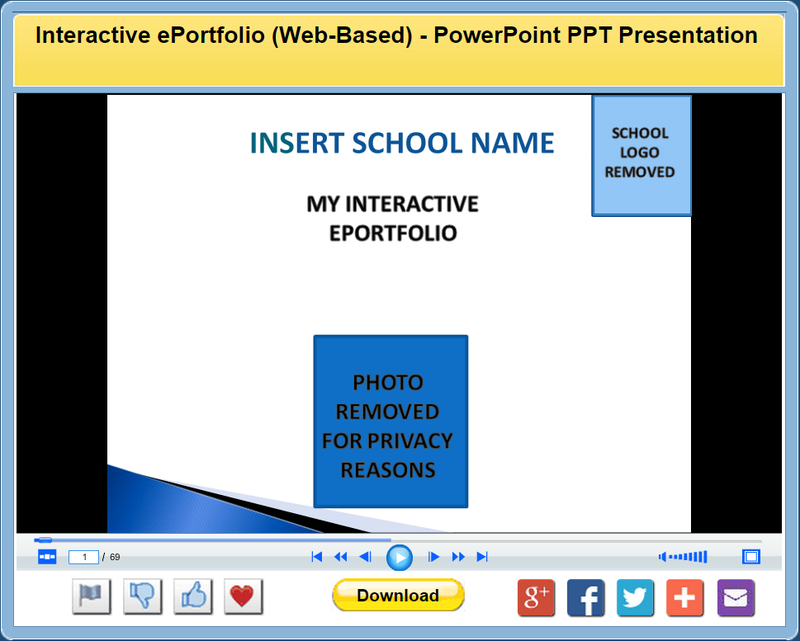 There are a myriad of online presentation solutions for developing Interactive ePortfolios. 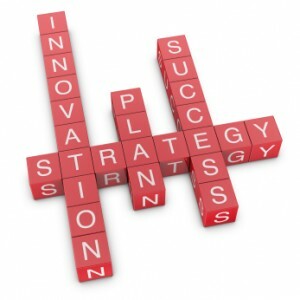 Use the information below to determine which approach best suits your needs. The Advent of Social Media and its Impact on Interactive ePortfolios. PowerShow allows users to upload (for free) PowerPoint presentations whilst retaining the function of embedded hyperlinks (links to other slides), transitions and animations. Click on the image below to access an online interactive PowerPoint presentation (opens in a new window). Microsoft have released Office Mix, a new PowerPoint add-on that lets teachers create rich media presentations and interactive lessons and share them online. A downloadable plugin for PowerPoint (requires Microsoft Office 2013 SP1 or Office 365). A site where anyone can share their work and view analytics. third-party tools, such as activities from Khan Academy and CK-12 Foundation. PowererPoint Online by Microsoft allows users to embed PowerPoint presentations within a website or blog, to be viewed from within the browser and without having to have PowerPoint installed. 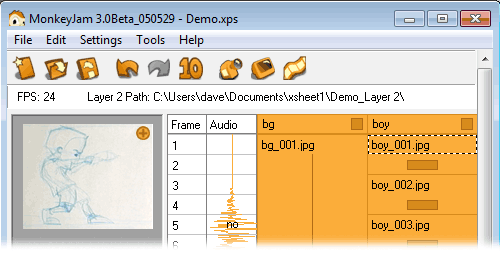 Animation effects on slides or transitions between slides are not visible in the embedded viewer nor does audio or video play. edit the embed code to select the desired dimensions and alignment. Websites allow users the freedom to create a webpage or many webpages without entries being automatically ordered/presented in a chronological fashion. Parents and families can still be updated about student contributions but must be emailed the web address to the new page (or directly to a new section on a page if the user knows some simple html - the internal page links on each page on Effective Curriculum Ideas is an example of this). Interestingly, the best features of both websites and blogs can be combined if the online provider offers users both a blog and a website (the host of this website, Weebly, allows users to have both a website and a blog). Therefore users can create new or update existing content on their website and all 'followers' who have subscribed to the blog can be notified by the user making a blog post with the link to the new content - this is how the blog on Effective Curriculum Ideas works. Blogs are organised chronologically and categorically, containing posts to which parents and family can subscribe and be notified via email of student work contributions, making following a student's learning journey as easy as, "Click to subscribe". Student work can be embedded, Facebook posts and Twitter tweets relevant to the teaching and learning process can be easily hyperlinked to or pasted in via text or screen dumps. Visit the blogging section to learn more. Become more aware of their digital footprint, selecting which footprints they choose to place into their Interactive ePortfolios. NOTE: Schools and students must read the terms and conditions of blog and website provider. Weebly, the host of this website and blog, does not claim any ownership of the content on websites hosted by them. Whereas other free website providers may claim commercial ownership of any information hosted on their servers. Google Apps and Google Apps for Education provides schools and students with the workspace and opportunity for people to work simultaneously and collaboratively on documents, spreadsheets, slides (Google Docs, Sheets and Slides), as well as also manage and maintain a website and wiki (Google Sites), blog (Blogger), YouTube videos and Picasa images that together all form an ePortfolio of work. More information on optional apps can be accessed from here and visit the Google Apps Marketplace. Schools should use the table below to determine whether their situation is better suited to a Google Apps for Education account or a private Google Apps account, as well as create and ratify an Online Services/Cloud Solutions Consent Form. Check out the following video below about Hapara Tools for Google Apps that makes managing student usage of Google Apps easier for teachers. Students to record learning journals, embed social media resources, work collaboratively with others, manage and maintain a blog, add work to watch lists for subscribers, and create an ePortfolio by selecting a variety of pieces of work to show to prospective employers and build an online resume. Click here to watch a video explanation of how the use of Mahara can be advantageous for students. Teachers to keep an ePortfolio of evidence of professional learning for meeting the requirements of professional teaching bodies, sharing work with colleagues and organising online files. Click here to watch a video to promote the general use of staff ePortfolios or here to watch one related to Mahara. Click here to watch a video to learn how to set up and manage a Mahara account. If schools are using blogs, wikis, Twitter or Facebook in their classrooms to engage students in formal and informal learning rich discussion of curriculum, these avenues also naturally form a student ePortfolio of "Interactions". The presence of these Web 2.0 mediums begs the question, "How do schools combine all of these avenues of student learning into student Interactive ePortfolios?" To best capture, present and have students reflect upon the rich teaching and learning that occurs within classroom blogs, wikis, Twitter tweets and Facebook posts, schools, particularly in secondary school situations, have shifted away from PowerPoint-based Interactive ePortfolios (which are still very useful in primary schools if used smartly) and instead are embracing the Web 2.0. approaches of using blogs, websites and Google Apps. In addition to the blog and GoogleApps solutions discussed above, there are a wide variety of apps that support the development of Interactive ePortfolios for Windows, Mac, iPads/iPhones/iPods and Android devices. See the relevant section below to find the apps that are right for you. Organise all of your Interactive ePortfolios apps into one easily accessible IOS folder. Click on the app icon or name to go to view more details or download from the App Store. Description: Allows users to access files from any connected wifi network (including authenticated proxies), network device (Windows, Mac and even a hard drive shared via router), Google Drive or Dropbox. Description: Allows users to access files from any connected wifi network or networked device. Pro allows files to be copied from the network onto the iPad's camera roll and copy files wirelessly from an iPad onto a network. Description: Perfect for creating video tutorials. Records audio, touch interactions as drawings and when combined with Doceri Desktop on Windows or Mac, allows user to interact with a computer and record the screen and sound. Click here to watch a student tutorial made using Doceri Interactive Whiteboard. 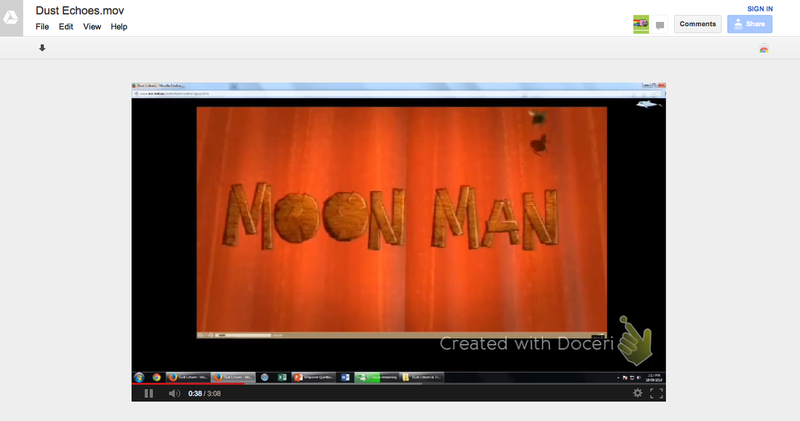 Click here to watch a student tutorial created in combination with Doceri Desktop. Description: Perfect for creating video tutorials. Use a coloured background or import and image to annotate. Records audio and touch interactions as drawings. Watch this video to learn more. Watch the official video to learn more. Description: Perfect for creating eBooks with multiple chapters. Easily insert images and headings. For lengthy texts, it is best to type the work using Windows or Mac, email it to oneself, open the email on the IOS device and paste into CBB. Watch the official CBB video tutorials here. step-by-step guide to creating your first eBook here. Description: Generate QR codes (scannable hyperlinks using a QR reader app on tablets or smart phones). Perfect for advertising brochures or placing on art work for people to scan and watch student explanations or poetry recitals. Description: Scan QR codes (scannable hyperlinks) using tablets or smart phones to visit content online. Allows user to nominate whether the scanned link should be opened within the app or Safari. Description: Film and edit videos and create movie trailers using a series of templates. Learn more here. Price: It can be upgraded to Pro (to captures 1080P video and to access more filters) for $1.99. Description: Created by Aardman Animations Studios, creators of Wallace & Gromit, is a simple introductory stop motion app for children of all ages. Description: Edit audio files and create music using a variety of musical instruments. Learn more here. Wanting to get students to adapt their written narratives into comics or publish student comics. Use a combination of these apps to create professional looking comics! Description: Create professional looking comics using customised speech bubbles, page layouts, import images from library and camera roll (be the star in your own comic) and manipulate images using various image filters. Saves to PDF. Watch the offical video to learn more. *Add-ons available for purchase. Turn off in-app purchases in the iPad Settings menu to disable student purchases. Price: Free *Add-ons available for purchase. Description: Use the templates and available characters to create professional looking comics. Watch the official video tutorials here. * Turn off in-app purchases in the iPad Settings menu to disable student purchases. Description: Apply comic and cartoon effects to photos and videos from an iPhone or iPad's camera feed and roll. Watch the offiical video here. Description: Turns photos into sketches. Seven different sketch effects are available. These photo collage apps are ideal for creating beautiful 'About Me' and 'Personal Profile' pages for student portfolios or for framing student images/photos from camps, excursions and other school-based experiences. Description: Create amazing photo collages using photos, stickers and fonts. Over 50 million downloads and counting! Watch the official video here. Description: Choose a layout, place and size photos within each of the frame's elements and modify the colour of the photo collage frame. Description: A web-based screen recorder to create and share screencasts. Watch the official video here. 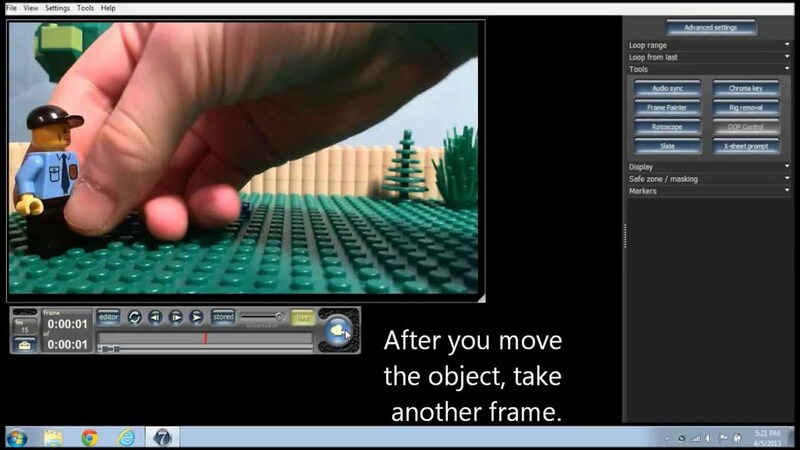 Description: A downloadable screen recorder to create and share screencasts. Watch the official video here. Description: Create interactive eBooks for reading on Mac and iPads! Place image windows/galleries, videos and hyperlinked content alongside of text. Watch the official video here. Description: Film and edit videos and create movie trailers using a series of templates. Click here to learn more. Description: Edit audio files and create music using a variety of musical instruments. Click here to learn more. Description: The market leading stop motion program. Used to film Wallace & Gromit. 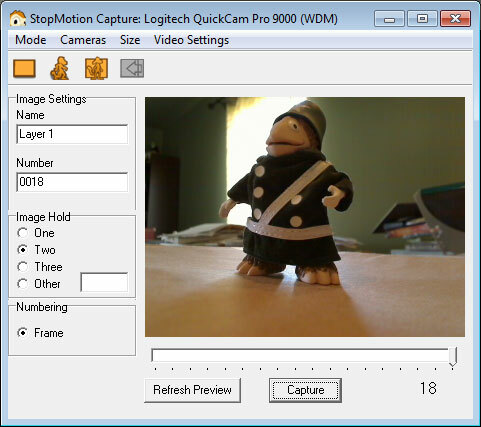 Import images and video (AVI/MOV) from file, webcam, DV camera or scanner. Import or record audio and multi-track audio. Description: When combined with an Doceri for iPad, Doceri Desktop allows users (a teacher in a whole class or small group scenario, or a student when creating a tutorial) to interact with a computer to (i) control the PC (Windows or Mac) and (ii) record touch and mouse interactions, computer sound and a narrator's audio. Description: A simple online eBook creator for the junior years classroom, containing six themed character templates. Simply select an element, drag and drop, resize and resposition and type in the text boxes. Description: Allows users to access and modify local files (on an Android device) or remotely (on a computer, network drive and network devices) via any connected wifi network (including authenticated proxies). Click here to watch a video tutorial to learn more. Description: Perfect for creating video tutorials. Use a coloured background or import and image to annotate. Records audio and touch interactions as drawings. Watch the official video to learn more. Description: Perfect for creating eBooks with multiple chapters. Easily insert images and headings. For lengthy texts, it is best to type the work using Windows or Mac, email it to oneself, open the email on the IOS device and paste into CBB. Watch the official CBB video tutorials here. Description: Create amazing photo collages using photos, stickers and fonts. 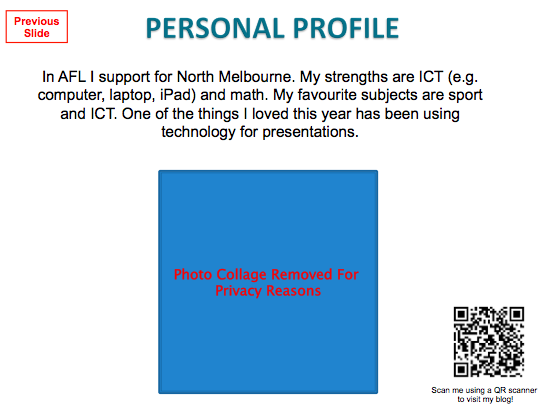 Ideal for creating beautiful 'About Me' and 'Personal Profile' pages for student portfolios or for framing student images/photos from camps, excursions and other school-based experiences. Price: $1.99* Add-ons available for purchase. 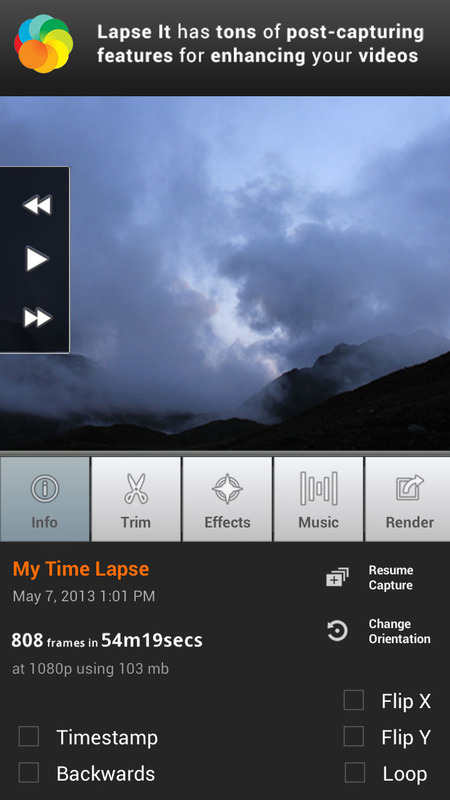 Price: Free (It can be upgraded to Pro to capture 1080P video and to access more filters for $2.99). Click on the image below to download a possible Interactive ePortfolio Rubric for PowerPoint-based projects that use online services (such as Google Drive) to host their content. 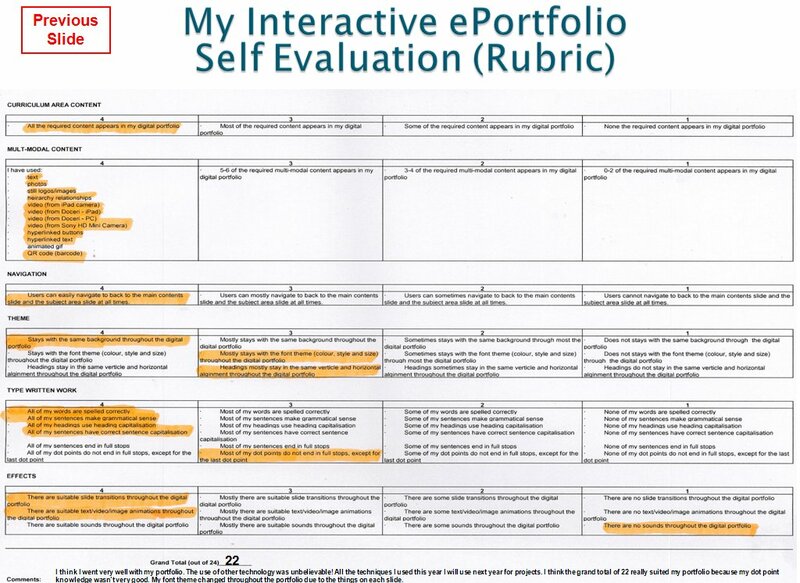 Students can use the rubric throughout the year to continually assess each page/slide that they insert into their interactive ePortfolio, as well at the end of the year to assess the end product (see below). Download this rubric in two formats: PDF | XLS. 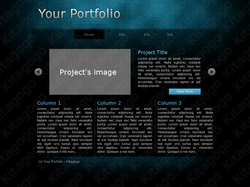 Interactive ePortfolio Assessment Rubric: PDF | XLS.